When it comes to baby shower invitation ideas there are so many different things you could think of that the whole thing could get overwhelming. Even though at the beginning you may not have any idea at all, after a while you will have too many of them and you won’t know which one to use. In case you would like to make something cute, you could think about the cutest thing about a baby – those tiny, little feet. To create the invitation you should get some blank invitations and add to the front a small footprint. You can be sure that the guests will know what it refers to. 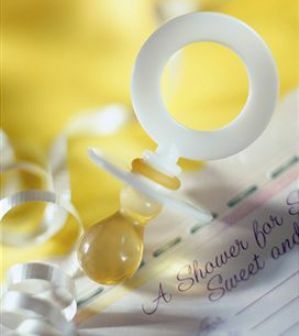 When looking for ideas for baby shower invitations you may want to combine cute things with funny elements, and in this case you could add to the invitation a large diaper pin. Naturally nobody uses such items anymore, but it will make people you invite smile. Maybe it will remind them of their childhood. 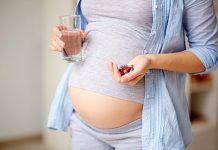 It is recommended for pregnant women to have an ultrasound to make sure that everything is alright regarding their pregnancy, and you could use this for your baby shower invitation ideas. Add the ultrasound image to the front of the invitation, so that your guests will know what the baby looks like. If you are looking for ideas for baby shower invitations you could go for the classic ideas, such as flowers. These work best in case you know for sure that you will have a girl. Let’s face it, flowers look a bit strange for boys, but in this case you should have whatever you like. Nobody will judge. …or girl. Just as in the previous case of baby shower invitation ideas if you know that gender of the baby, you should write it on the front page of the invitation so that the guests will get the most important piece of information right when they get the invitations. Naturally inside you will write the time, date and location of the shower. It looks like people are getting more and more creative regarding the ideas for baby shower invitations. Now you can find some invitations in the shape of a diaper. Since this is something out of the ordinary, your guests will appreciate your creativity because such an invite suggests that you have a unique style. When people see onesies, they instantly think about babies, and you could use this for the baby shower invitation ideas. As an example you could have on the front of the invitations a string with several onesies on it in different colors and with different patterns. To make the ideas for baby shower invitations a little more personal, you could add a ribbon to the invitations to keep them close. To suggest the gender of the baby you should put a blue ribbon if it’s a boy and a pink one if you will have a girl. In case you don’t know the gender yet, you could use any other color. It is possible that you will have a girl, and if this is the case, then as one of the baby shower invitation ideas you could have a princess on the front of the invitation. You could choose something imaginary, or a well-known character, like Cinderella or Sleeping Beauty. There are many ideas for baby shower invitations that you could come up with or use, but the baby shower invitation ideas should have something unique about them.